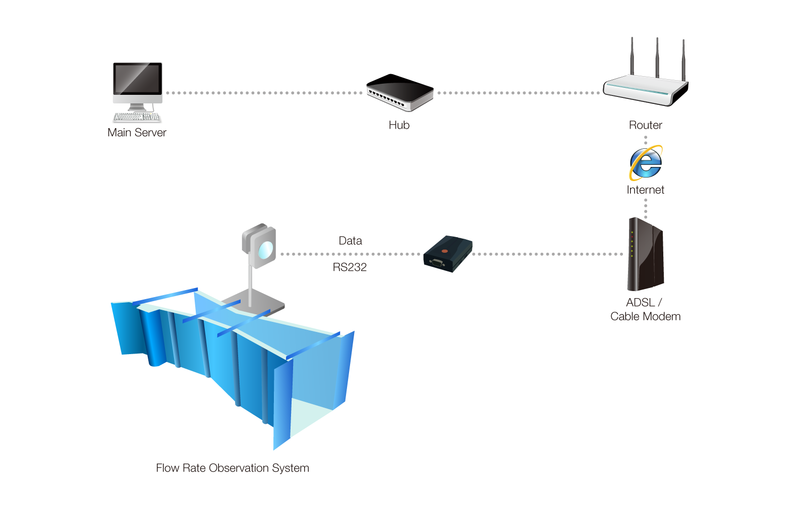 Sollae Systems’ serial to Ethernet device server is used with a water flow meter and ADSL/cable modem. Flow meter is an instrument used to measure volumetric flow rate of a liquid. Data from flow meter is printed in the form of RS232, RS422 or RS485 serial data. Sollae Systems’ serial Ethernet device servers enables for real time monitoring because it sends flow meter’s data through a network. In short, our device provides network function for an existing system that monitors the flow meter to monitor from a remote site.